Friends, we have such a fun giveaway today!! 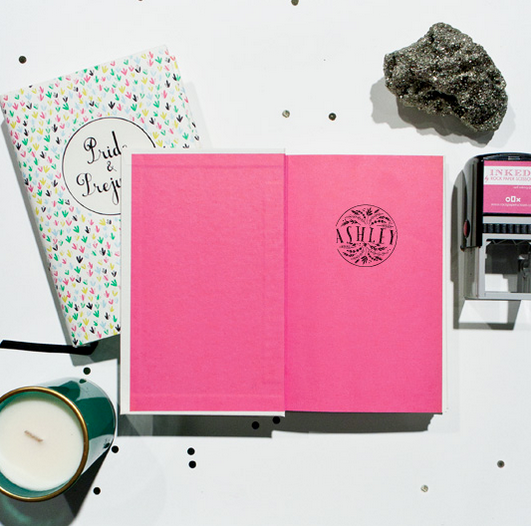 Our sweet friend, Lauren, has RE-launched her paper boutique’s website, and we are soooooo excited!! Leah and I shop there often, and go to Lauren for ALL of our stationery needs. She and her staff are just the best at what they do… end of story! Now, everything is available to you out of towners as well. YAY!! We are celebrating with a giveaway!! Lauren was kind enough to offer up one of her custom designed self-inking address stamps for one of our lucky readers. Leah and I both have one, and we LOVE it!! 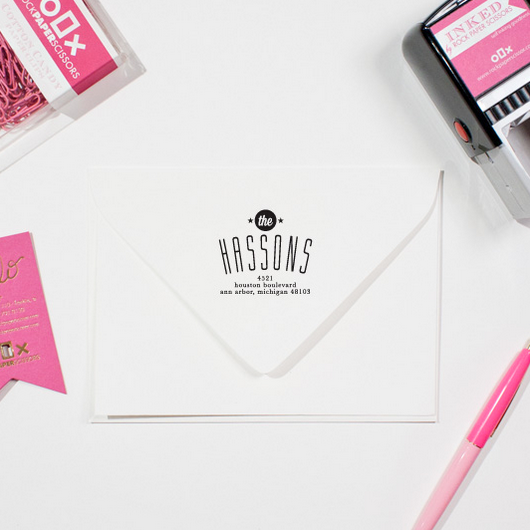 It makes addressing envelopes or stamping your books so much easier and much more stylish. They make great gifts as well. Although, you may have a really hard time deciding on which one to pick. That is always the hardest part, right? 2. 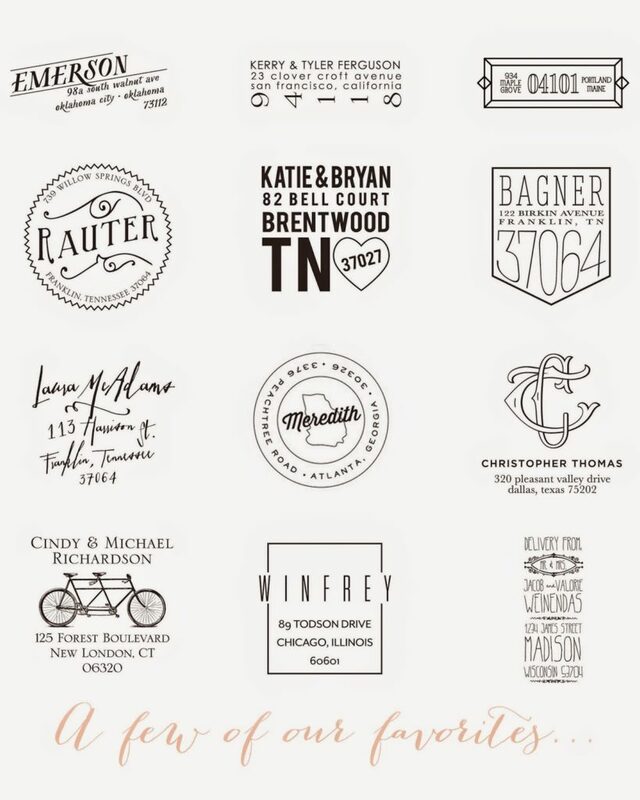 PIN your favorite stamp design from her site. 3. THEN, come back here and comment on which stamp you liked best! Be sure and leave your Pinterest name in the comment so that we can be sure you pinned!! Heydy Lopez… you are our winner! Please email us to claim your lovely stamp, friend!!! Thanks for entering everyone!! We really appreciate you! I love the Lyons stamp! It's beautiful and feminine.